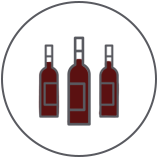 The originality of the terroir of the Pessac-Léognan wines can be seen in their origins. A time long ago at the end of the Tertiary period and the beginning of the Quaternary period when the mouth of the old Garonne used to throw out rounded pebbles, broken stone mixed with clay, sand chalk and shelly sand. All the constituents of the famous Graves of Bordeaux. The variable thickness (20cm to 3 metres and over) and the disposition underneath the soil without any real form of homogeneity means that the Graves offer, precisely, different possibilities, personal expressions and diverse foundations, just some of the characteristics and nuances of the great wines of Pessac-Léognan. Un kaléidoscope géologique fascinant qui illustre la force et la forme si particulières des graves de Pessac-Léognan. A gravelly soil is considered to be a poor soil, yet it conveys its occasionally frugal nature well with the vine. So long as the vine has just enough to drink. At Pessac-Léognan, the gravel deposits register amongst sloping hilly reliefs and form well outlined tops which allow for remarkable natural drainage. The said drainage is reinforced by a large water system formed by small streams, tributaries of the Garonne (the Peugue, the Eau Bourde, the Eau Blanche, the Breyra, the Saucats). Never drowned, the vine can thus delve deep into the ground and find water underneath the soil whenever it has need. After water comes the light, in the form of reflected sun rays from the sun. Pebbles, shingles and grit from the surface absorb the heat from the sun and progressively redistribute it to the grape clusters during overcast periods and during the night, helping to contribute to better grape maturation. 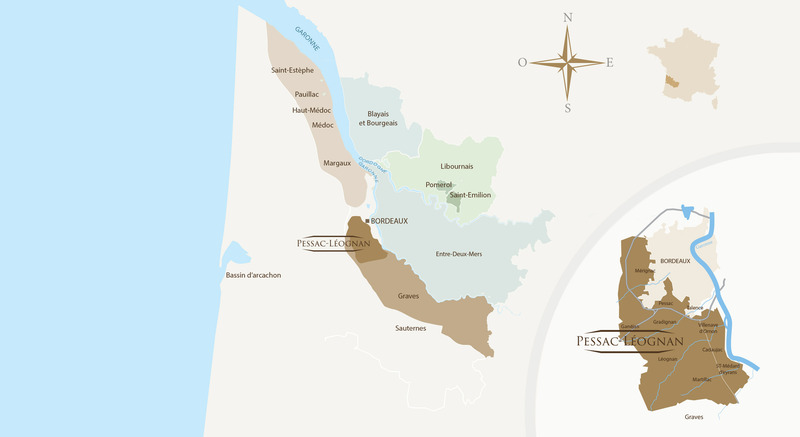 In addition, the terroir of the Pessac-Léognan wines possess a temperate climate, soft, regular hygrometry, influenced by the nearby ocean, whilst also benefitting from the protection from the west – of the Girondin Forest of Landes. A well marked boundary for a microclimate, which helps these exceptional wines excel so much. 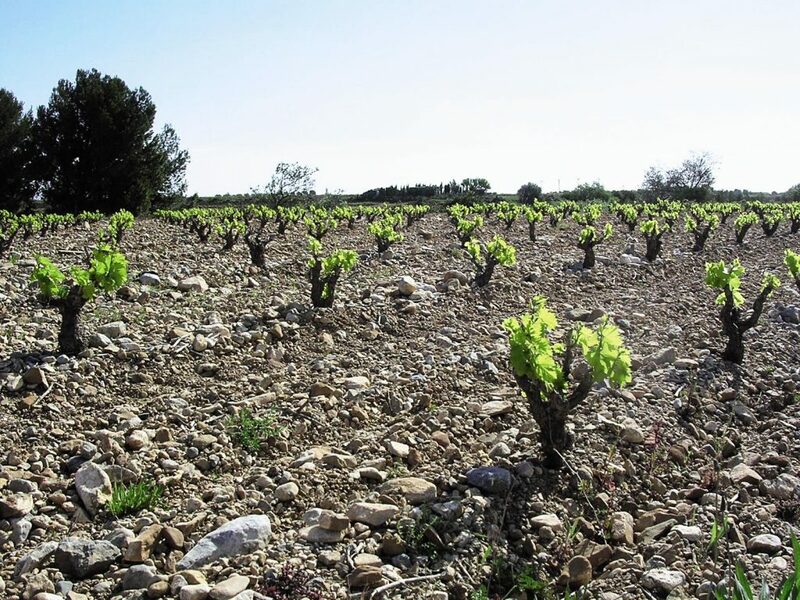 The minimum plantation density is 6,500 vines/ha, but more often closer to 9,000 vines/ha. The authorised yield are 45 hl/ha for the reds and 48 hl/ha for the whites. 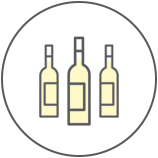 White wines : Sauvignon, Sémillon and Muscadelle.